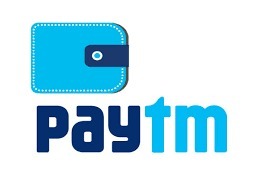 If you are looking for the developers who will create an app like paytm for your business and want to know to the cost of the app. Fusion informatics is the best mobile app development company in Bangalore. We will help you develop an app like paytm with the advanced features for attracting more number of customers to your business. For more Details Contact - +91 63610 54076; Mail ID – sales@fusioninformatics.com; Address – No - 13/1-1, 2nd Floor, Srinivas Tower, 100 Feet Road, 1st Stage, BTM Layout, Bangalore.